The 2015 Festival of Ice has begun! 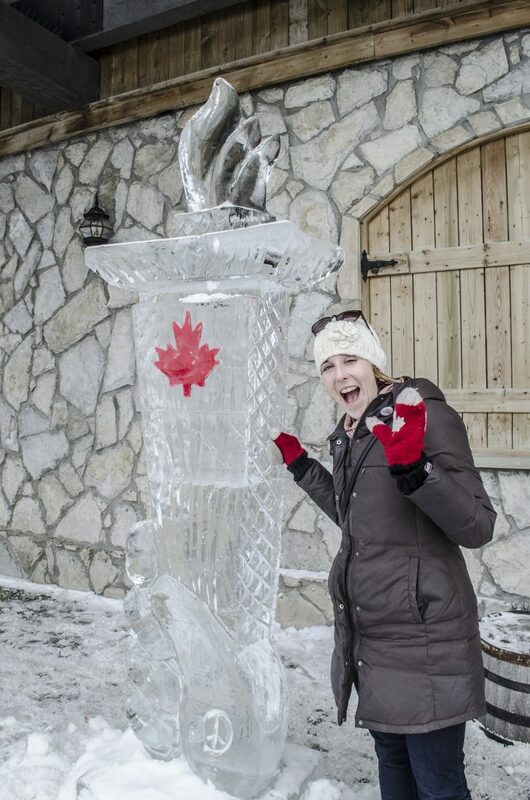 Wineries across Essex County will be taking part in the 15th annual Festival of Ice with events to entertain both young and old. Join Colio Estate Winery today, Saturday, February 7, from 12:00pm to 5:00pm and enjoy watching their annual ice carving competition while enjoying great food and treats from a variety of local vendors. A very special treat, Colio’s Bricklayer’s Cache series of Estate Wines has just been released from the Colio cellars and will be available for purchase exclusively at the festival. Also, don’t miss out on your chance to try their new Girls’ Night Out flavoured wine. It’s a great treat for Valentine’s Day. Colio also encourages you to try their Prism Icewine in true winter style – straight from an Icewine luge! North 42 Degrees Estate Winery is also getting in on the fun. From 1pm-5pm today and tomorrow, don your cross country skis and experience the magic of a winter through North 42’s beautiful forest and vineyard trails, then enjoy a roaring fire, a special hot chocolate wine treat, s’mores or a mug of some Austrian gluhwein on North 42’s cozy winter wonderland. A stunning backdrop of snow and vines along with the pleasing pairing of chocolate and wines presents the perfect opportunity to come out of hibernation and visit Colchester Ridge Estate Winery. This year CREW will be melting the ice, featuring chili infused chocolates and bowls of chili for $5 or complimentary with your purchase of $20 or more. Oxley Estate Winery will be offering a lucious and savoury Lamb Kaofta Quesadilla as well as serving hot chocolate and fire roasted marshmallows outside by the fireplace on the wine patio. There will also be specials events outdoors! Pelee Island Winery will be offering complimentary tours at noon, 2:00pm and 4:00pm each day. Cozy up to the crackling fire at Sprucewood Shores Estate Winery with a mug of their delicious Warm N Cozy Mulled Wine and take in the spectacular view of the frozen crests on Lake Erie with complimentary chocolate pairings with their premium wines. Admission at each participating winery is a canned good for the food bank. They are also running a book drive until February 15, so please bring any new children’s book or gently used books for all ages.